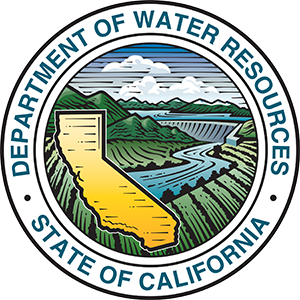 The California Department of Water Resources (DWR) is hosting seven public meetings in multiple locations to update communities in the region about the ongoing Oroville spillway recovery effort. The meetings will be opportunities for members of the public to hear from DWR leadership and experts about the status of the Oroville spillway and to ask questions and provide comments about the recovery process. The meetings will have a similar agenda, format and content. The drug Take Back Day will happen this weekend in Glenn County. The Glenn County Sheriff's Office is partnering with the Drug Enforcement Administration to host a Drug Take Back location at the Sheriff's Office on 543 West Oak Street in Willows. You can bring your expired and unused, or unwanted prescription medications for disposal to that location from 10 am to 2 pm Saturday. The service is free and no questions will be asked. The Sacramento Kings will help celebrate Butte County Students Today. The Sacramento Kings will join the Butte County Superintendent of Schools in celebrating the strength and resilience of Butte County students during the Oroville Dam emergency evacuation in February. The Kings will rally 15 hundred elementary school students at three assemblies this morning. According to a press release from the Butte County Office of Education, the first rally will be at the Golden Hills Elementary School playground in Oroville from 9 to 9:30 am. The second will be at the Nelson Avenue Middle School Gym in Oroville from 10 to 10:30 am and the final assembly will be at the Farmer's Hall at the Butte County Fairgrounds in Gridley from 11 to 11:30 am. Chico Police arrest a wanted fugitive. Officers arrived at a residence on Holben Avenue to conduct a welfare check around 11:30 Wednesday morning. While there a man fled out the back door. He reportedly went through back yards and businesses from Holben Avenue to East 1st Avenue and then on to Mangrove Avenue. Officers determined that the suspect was Corey Crews wanted for assault with a deadly weapon. Crews was found in an alley way between Spruce and Laburnum avenues. According to a Chico Police press release, after a brief struggle Crews was arrested. No one was injured in the struggle. A multiple vehicle traffic collision on Highway 70 south of Ophir Road near Oroville leaves three dead. The driver of a Nissan Frontier reportedly attempted to pass vehicles when he collided head-on with a Chevy Aveo after 6 am this morning. There are reports that three men in the Aveo have perished. Cal Fire says the driver of the Nissan Frontier was air-lifted to Enloe Hospital with major injuries. According to authorities, two other vehicles were involved in the collision. According to the CHP, all lanes are blocked in the area south of Ophir Road and may not be opened until 10 am. Authorities are saying that motorists should use an alternate route. A multiple vehicle traffic collision happened on Highway 70 south of Ophir Road near Oroville this morning. Three vehicles were involved collision after 6 am this morning. The CHP says two of those vehicles hit each other head-on. There are reports that three men have perished in the crash. Cal Fire says one person was extricated from a vehicle and air-lifted to Enloe Medical Center with major injuries. Two others are reported with moderate injuries have have been taken to a local hospital. UPDATE: The Chico Police Department is reporting that 79-year-old Janelle Lindsay who was reported missing last night has been found safe. She walked away from her residence at the Oakmont Retirement Home on Cohasset Road in Chico with her dog around 11:30 Monday night. Chico Police are searching for a missing elderly woman. 79-year-old Janelle Lindsay reportedly walked away from her residence at the Oakmont Retirement Home on Cohasset Road with her dog around 11:30 Monday night. Police say she has memory loss and is easily confused. She is described as 5 foot - 6 inches tall with grey shoulder length hair and blue eyes. She often goes by the nickname "Jeep", that according to a Chico Police Department press release. Anyone with information about Lindsay's whereabouts is asked to contact the Chico Police Department at (530) 897-4900. OROVILLE, Calif. (AP) — A California state senator is troubled that residents below a damaged California dam knew little about potential risk until ordered to evacuate when a spillway began breaking up. Republican Sen. Jim Nielsen says communication from state managers during the February crisis at Oroville Dam was confusing to the public. On Feb. 7, a massive crack opened in the main spillway at the dam. For days, managers assured the public there was no imminent danger as they slowed releases of water to assess the damage. Then, a backup spillway started falling apart, triggering the evacuation order for nearly 200,000 people. An Associated Press review found officials made a series of questionable decisions and missteps before and during the crisis. 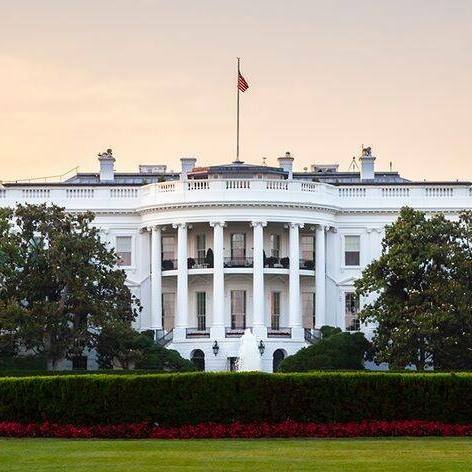 Nielsen represents thousands of residents who were evacuated and says the confusing communication in the days leading to the evacuation will be one issue discussed during a Senate hearing on the crisis this month. He says "there must be some accountability." SAN FRANCISCO (AP) - The U.S. Air Force says pilot error forced two airmen to eject from a U2 spy plane while on a training mission from Beale Air Force Base base in September, killing one of them. The Air Force released findings of its probe of the crash near Sutter, California on Wednesday. Investigators found that a pilot who was learning to fly the aircraft either pulled back too fast or too quickly on his stick while learning to recover from a stall. That caused the plane to go into a secondary stall that forced him and his instructor, Lt. Col. Ira S. Eadie, to eject. Investigators determined Eadie suffered fatal injuries when his seat struck the plane's right wing. 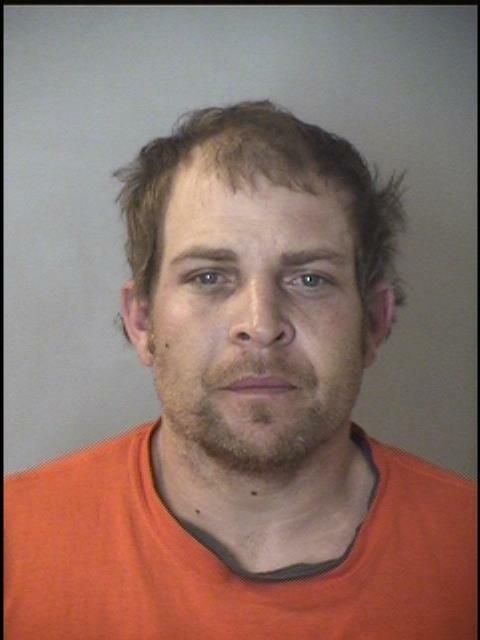 Petty theft charges get a Butte County man arrested near the Tehama County Line. 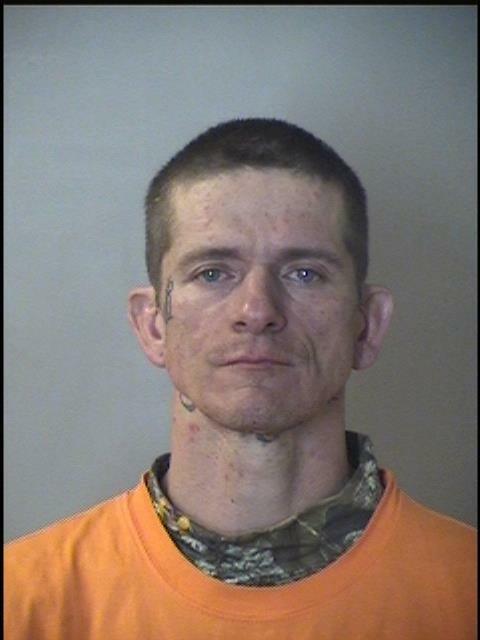 41 year old Jason Coy was arrested Sunday after stolen articles were reportedly found in his home in North Chico. Deputies found items such as firearms, chainsaws and generators at the residence. Authorities believe the stolen items are related to unsolved burglaries from North Chico and southern Tehama County. Anyone living in North Chico or southern Tehama County who was the victim of a burglary and had construction equipment stolen is urged to contact the Butte County Sheriff's Office at is urged to contact Sgt. Brazzi at 538-7321. SACRAMENTO, Calif. (AP) — California water officials say they have awarded a contract to repair Oroville Dam's two damaged spillways to a Nebraska construction company. The Department of Water Resources announced Monday that Kiewit Corp. of Omaha was awarded a $275 million contract to repair the state's second largest reservoir. Officials have said they want to have the work done by Nov. 1. Two Chico men are arrested Sunday for theft in north Chico. 41 year old Jason Coy and 40 year old Thomas Devlin were reportedly seen taking a package from a home off Keefer Road about 2:30 Sunday afternoon. Authorities caught up with them and recovered the package. Devlin and Coy were both arrested and charged with petty thert and possession of stolen property plus Devlin was also charged with violating parole. 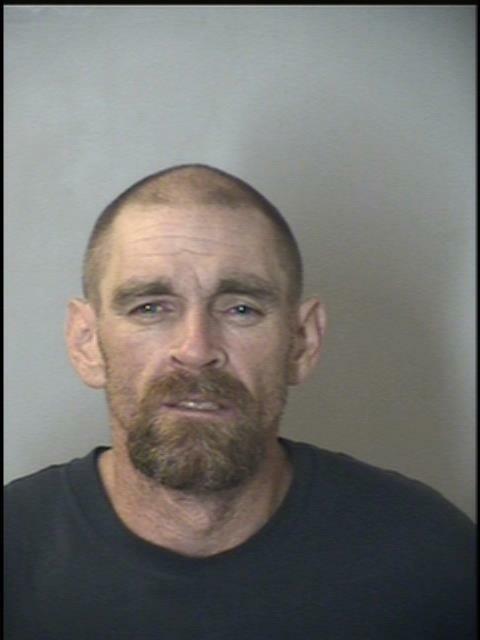 A Butte County domestic violence suspect is found in San Luis Obispo County. Last Wednesday deputies arrived at a residence on 18th Street in Oroville after reports of a woman being dragged by her hair in the front yard. The victim told deputies that she had allegedly been held captive and beaten by her boyfriend, 42-year-old Shawn Cahill. She was able to escape out of the window but Cahill reportedly chased her outside. Around that time a CHP officer arrived and Cahill fled the area. On Friday Cahill was arrested by Pismo Beach Police after leading them on a vehicle pursuit. Cahill will be brought back to Butte County to face domestic violence charges, according to a Butte County Sheriff's Office press release. Race day registration will happen at 7:30 am. A man is shot and injured after an argument in Chico. Officers arrived at an apartment complex on West 1st Avenue just before 5 am Saturday after reports of a shooting while a group of people were reportedly arguing outside. Officers found a semi-automatic handgun in the grass nearby. Witnesses told police that the group scattered after shots were fired. While at the scene officers learned that a 28-year-old man was taken to the hospital for non-life threatening gunshot wounds. According to a Chico Police Press Release, the victim was treated and later released. No suspects have reportedly been found. Anyone with information on this incident is encouraged to contact the Chico Police Department at 897-4911. Police investigate shots fired at a party in Chico. Officers were called out to the area of West 1st Avenue and North Cedar Street after 2 am Sunday after a report of a shooting. Officers arrived and saw a large party dispersing from a nearby apartment complex. Several shell casings were found in the area and a bullet hole was found in an apartment window. Police say fortunately no one was home at the time. According to a Chico Police Department press release, none of the party goers were reported injured either. 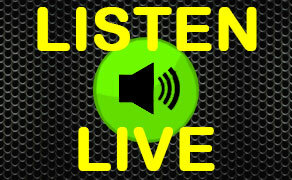 Anyone with information on the shooting is asked to contact the Chico Police Department. Arrests are made after warehouse burglary. Deputies arrived at a warehouse at Troxel Way in Durham for a report of a burglary on Sunday morning. 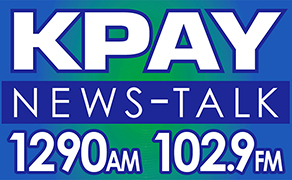 Deputies learned that a Toyota pickup and three A-T-Vs had been stolen. While searching the area deputies found a Ford pickup truck that had been reported stolen from Chico. Deputies searched the truck and reportedly found burglary tools and several bundles of heroin along with syringes in the truck. 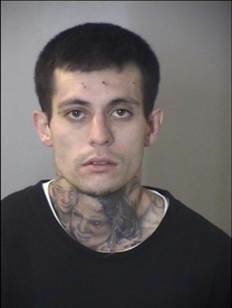 27-year-old Johnny Maroney Jr. of Oroville was found and arrested on numerous burglary and drug charges. Maroney's girlfriend, 28-year-old Caitlin Nenadal was also arrested for various drug charges but was later released. The Toyota truck was found but they are still looking for the A-T-Vs, according to a Butte County Sheriff's Press Release. Elder abuse and identity theft leads to a Palermo woman's arrest. In December the son of a disabled elderly man from Chico suspected his father's caregiver, Deidra Plaster-Egger of stealing his wallet and making numerous charges. Investigators viewed surveillance video from multiple businesses reportedly showing Plaster-Egger using the victim's credit cards. Deputies recently stopped a vehicle driven by Plaster-Egger and she was arrested. Detectives searched her residence on Country Club Road in Palermo and found evidence allegedly linking her to the victim in Chico. According to a Chico Police Department Press Release, Plaster-Egger was booked into the Butte County Jail for elder abuse, identity theft, and various burglary charges. The United States launched dozens of cruise missiles at a Syrian airfield early Friday in response to a chemical weapons attack that killed dozens of civilians, the first direct assault on the Damascus government since the beginning of that country's bloody civil war in 2011. 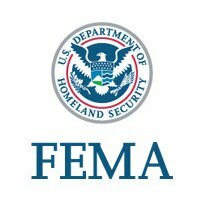 WASHINGTON, D.C. – The Federal Emergency Management Agency (FEMA) announced that federal disaster assistance has been made available to the State of California to supplement state, tribal, and local recovery efforts in the areas affected by severe winter storms, flooding, and mudslides from February 1 to February 23, 2017. 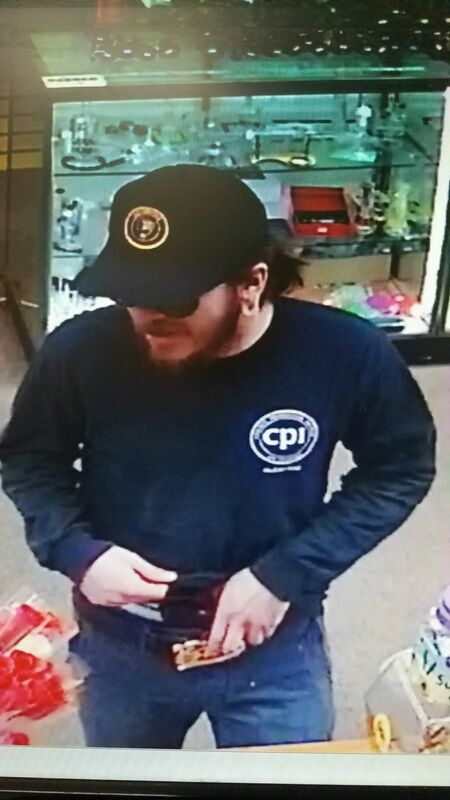 Police are searching for a suspect in a February armed robbery at a Chico smoke shop. A man reportedly entered the Cloud Smoke Shop on West Sacramento Avenue and allegedly demanded money on February 24 of this year. The clerk hesitated and the suspect reportedly motioned that he had a weapon in his waistband. After the man and the clerk got into an argument the suspect left the store, that according to a Chico Police Department press release. Police did not say if the suspect took off with any money. The suspect is described as a white male in his 20s with a beard and a pony tail. Child endangerment and drugs lands an Oroville man behind bars. Deputies were dispatched to 18th Street in Thermalito around 8 am Saturday after a report of a child custody dispute. Deputies learned that 36-year-old Ying Vang allegedly pulled out a handgun and threatened the mother of his children during an argument. He reportedly did so infront of his two sons ages 4 and 6. Deputies found out that Vang was on parole for previous crimes which prompted a search of his residence. That's when they allegedly found point 3 pounds of meth along with drug paraphernalia. The handgun was discovered to be stolen from residence in Thermalito, this according to a Butte County Sheriff's Office press release. REDDING, Calif. (AP) — Authorities say divers found a human leg attached to a cinder block and other body parts at a lake near Redding and they believe the remains may belong to a missing woman. The Redding Record Searchlight reports Sunday the body parts were found Friday and Saturday at a spot in Whiskeytown Lake where witnesses said they saw Bridget Jacobs' ex-husband the evening of March 19, the day before she was reported missing. The Shasta County Sheriff's Office says Jacobs' ex-husband, 56-year-old Philip Jacobs, told deputies that his ex-wife's death was an accident and that she died after charging at him and falling down some stairs. Philip Jacobs also told detectives he kept his ex-wife's body for four days at a home before dumping the body in the lake. Police make arrests after shots were fired outside of a party in Chico. Officers arrived to the 6 hundred block of West 4th Street around 2 am Sunday after reports of shots fired. Party-goers told police that there was an argument with a group outside of the party and that a man allegedly pulled a semi-automatic handgun with a laser sight. He reportedly pointed it at several party-goers and then fired the weapon several times in the air before getting into a mini-van. Police found that van at the 7-11 on Walnut Street. Officers found the weapon and discovered that it had been stolen out of the state. According to a Chico Police Department press release, the suspect, identified as DaQuan Bryant of Sacramento along with another man in the group were arrested.